All of New Britain Yard has a first cost of ground cover and ballast. The concrete platform is in but needs some more paint. 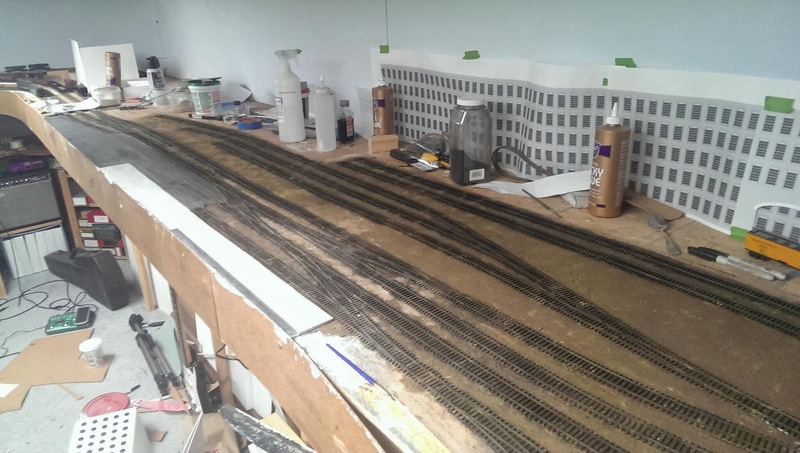 Every piece of track has a feeder. 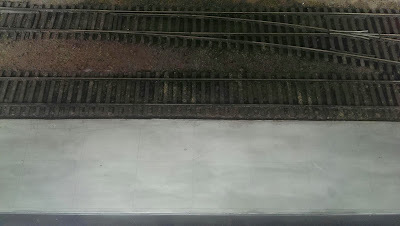 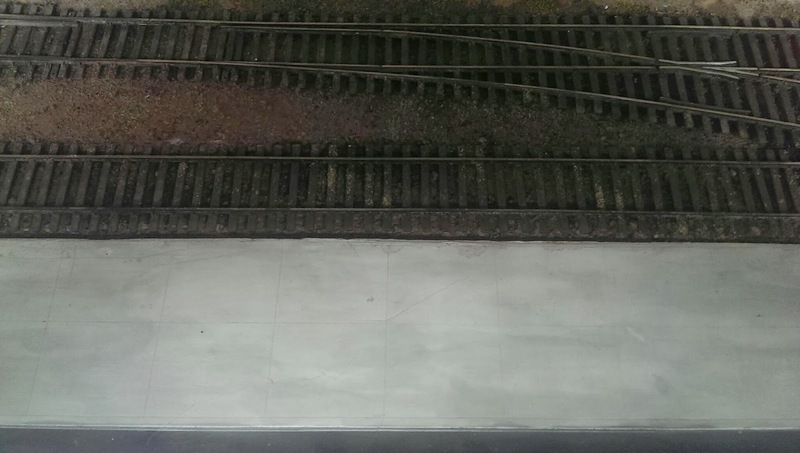 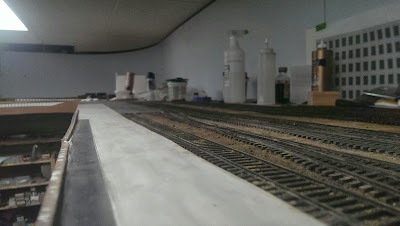 All rail has been weathered and ties painted.